Nokia set the bar for Windows Phone 7, and did so again with Windows Phone 8 earlier this month. Now that all the Finnish company's cards are on the table, HTC is taking it upon itself to challenge the excellent Lumia 920 by bringing its flagship "One" lineage to WP. The One X maker has more than proved it has the chops to produce top quality devices, but that was in the Android battlefield. Does it have what it takes to last in the bourgeoning Windows Phone world? 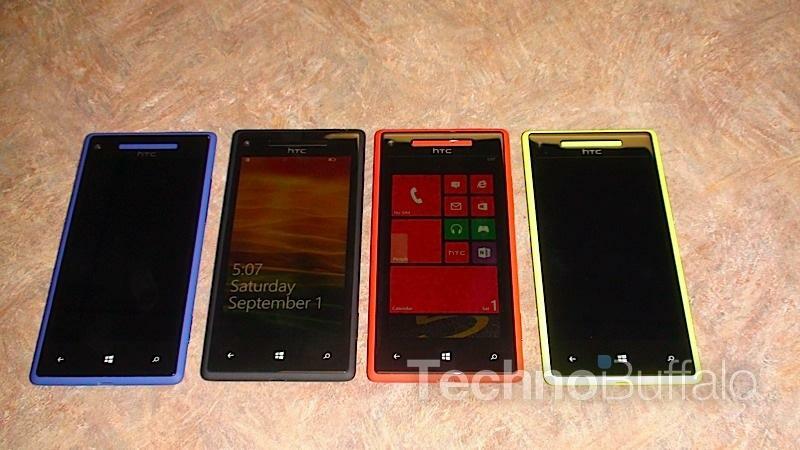 If we go by the company's brand new HTC 8X, we can confidently say HTC will be fine when WP fans look for a new handset this holiday season. Make no mistake, this is a direct competitor to Nokia's Lumia 920, right down to the wild assortment of colors — California Blue, Graphite Black, Flame Red and Limelight Yellow. HTC CEO Pete Chou said the company gave "the platform the iconic design and personality it deserves," and that's clearly reflected in the 8X. Forgoing the usual menace of black, HTC is branching into the full color spectrum to highlight the "differentiated vision" Windows Phone offers. It's a bold move, especially when you consider the similarity to Nokia's famous Lumia lineup, but HTC is obviously confident it has the ability to manufacture impressive hardware of its own. But more than that, it's confident it can provide a beautiful mix of hardware and software. The 8X sounds like exactly that. It's difficult to determine an experience on specs alone, but that doesn't mean we won't try. Equipped with a 4.3-inch (1280×720) 341ppi super LCD 2 display with Gorilla Glass 2, the 8X gives Windows Phone 8 plenty of room to show of its small, medium and large-sized tiles. Digging deeper, the device packs a 1.5GHz dual-core Snapdragon S4, 1GB RAM, 16GB of internal storage, 1,800 mAh battery, NFC, LTE, 8-megapixel camera with f/2.0 aperture and 28mm lens (2.1-megapixel f/2.0 front) dedicated ImageChip for fast focus speed. The One X provided users with an excellent camera experience, and it looks like that'll be present here. Additionally, as per usual for HTC, the device will come with Beats Audio for "bigger sound and superior fidelity," only this time with a "unique audio amplifier powering the 3.5mm audio jack." That means your content will sound even better than before. It's about all you could ask for in a Windows Phone 8 device. It does fall short in a few areas when compared to the Lumia 920 — the 920 has a 2,000 mAh battery, PureView camera technology and 32GB of internal storage — but the 8X sounds like it'll more than hold its own. Update: "Pricing information for the Windows Phone 8X posted on htc.com was an error," HTC told TechnoBuffalo in a statement. "Final pricing has not been confirmed or announced. We are still working with our carrier partners who will announce final pricing at a later date."